Psychographics is a lifestyle segmentation. It segments the entire population into homogeneous groups according to lifestyle. Segments are then described as a factor of their demographics, consumer behaviour and media usage. The segmentation is product-specific, which means that consumers are segmented due to their lifestyles related to particular markets. The results provide vivid and colourful portraits of consumers. 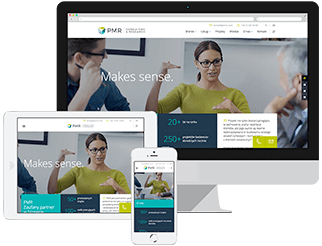 For psychographic studies, PMR uses its own methodology. PMR Psychographics Methodology is based on the assumption that consumers should be segmented not only according to their standard demographic characteristics, but also according to important lifestyle factors. To meet this assumption, segmentation procedures are preceded by qualitative research used to develop a long list of the most important segmentation criteria for a given market. Based on a small quantitative study, key segmentation criteria are identified. A large representative survey is then conducted in order to segment the whole population according to their lifestyles exhibited in relation to the particular market. This methodology best fits lifestyle-driven markets such as the clothing market, the food market or the consumer credit market. What lifestyles do consumers exhibit on my market? Who are they? Where do they live? What do they do? How much do they earn? How do they behave on the market? How much money do they spend on the market? Where? How often? How can they be reached? What are their media channel preferences? A report can also include other data requested by the client to profile lifestyle segments.